Update time!! | Welcome to MooMooZoo! Yeh yeh i know…im soooo slack with keeping my blog up to date. To be honest i forget all about it, hence the very few posts i make! 1. 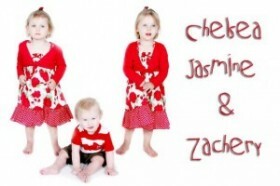 Jasmine turned 2 on 26th October….therefore i now have 2 girls that are ‘2’ at the same time! 3. Chelsea is becomming little miss bossy more and more each day. 5. The girls have their combined party this weekend. Its predicted to be 35 degrees! Im sure theres much more but cant think right now! Other then the fact i hate BellyBelly (see previous post) i cant say much more. I used to love the site. I supported them alot. I gave them alot of money via MPM, Platinum and Life membership as well as RAK day where i paid for 2 members membership. They still have not provided any evidence of this accusation, and i doubt they ever will simply cos there is NONE. I never done a thing wron so how are they going to prove i did? For anyone ever wanting a recommendation for a great forum, BellyBelly would be the last on my list.